US-Led Military Strikes in Syria Were a Success: Was a Correlative Political Warfare Success Achieved, Too? Syrian Arab Republic President Bashar al-Assad (left) and Russian Federation President Vladimir Putin (right). Given all that transpired in Syria surrounding the US, United Kingdom, and French military strikes, Putin, Assad and their respective senior advisers may very well have begun to ask questions about future of relations between their countries. Relations between Moscow and Damascus may have begun moving in a new direction to the dissatisfaction and disappointment of Putin, and the dismay and anger of Assad. Correlative effects can result from airstrikes, cruise missile strikes, drone strikes, and artillery attacks. Those effects could include damage to surrounding structures, or could mean unfortunate harm to civilians, in or near a target struck. Correlative effects can sometimes include shaping the attitude and behavior of an opponent targeted, his ability think, what he thinks, his ability to fight, and even his interactions with individuals with which he is allied or tenuously unified can be others. A correlative result of the April 13, 2018 US, United Kingdom, and French military strikes in Syria may have been a hard blow upon the ties between Russia and Syria. Indeed, perhaps far more was accomplished by that US-led coalition than the Trump administration could have imagined. On April 13, 2018, US military forces, acting in coordination with military forces from the United Kingdom and France, took decisive action against the chemical weapons infrastructure of the Syria Arab Republic. It was in response to an April 7, 2018 chemical weapons attack against his own citizens in Douma. 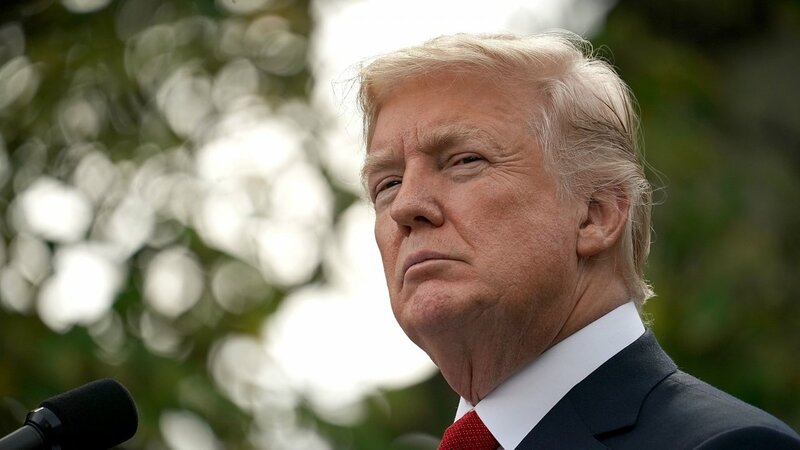 According to the Trump administration, the US has vital national interests in averting a worsening catastrophe in Syria, and specifically deterring the use and proliferation of chemical weapons. The military strikes took out “the heart” of the Syrian chemical weapons enterprise, but there were other facilities that were not struck due to concerns about civilian casualties. He declined to say exactly how much of the chemical weapons program was taken out. US Defense Secretary James Mattis explained that the strikes were “a one-time shot.” US Marine Corps Lieutenant General Kenneth McKenzie, the director of the Joint Staff, explained in an April 18, 2018 press conference at the Pentagon that the US carefully plotted out the strength, length of time, and target set of the strikes. Efforts were made to minimize the potential for chemical weapons to leak out of the facilities, with McKenzie saying “we believe we successfully mitigated” the risk. He explained that while it is possible that some material and people were moved from the site in the lead-up to the attack, there were certain pieces of equipment that the regime would not have been able to relocate. McKenzie acknowledged that the three sites did not represent the totality of the Syrian chemical weapons program known to the US. However, McKenzie and Pentagon spokeswoman Dana White emphasized that future strikes in the region could not be ruled out, saying that it is entirely up to the Assad regime. They went on to explain that the use of chemical weapons in the future could lead to more strikes. After everything, Syrian Arab Republic President Bashar al-Assad sits ostensibly in relative safety and comfort in Damascus as the leader of all of Syria, even though he only controls a small part of the country’s territory. He only holds on to that with the assistance of Russia and Iran. Even more, he wields as much power as Russia will grant him to wield. To observers, there appears to be a blindness in Moscow about Assad. Yet, Russian Federation President Vladimir Putin is well aware of his Syrian counterpart’s merits and deficits. He has an intellectual understanding of Assad, his habits, his ways. Indeed, at this point, Putin, with albeit some effort, very likely can track his thoughts, and likely has intimations about his moves whenever he thinks about Syria. 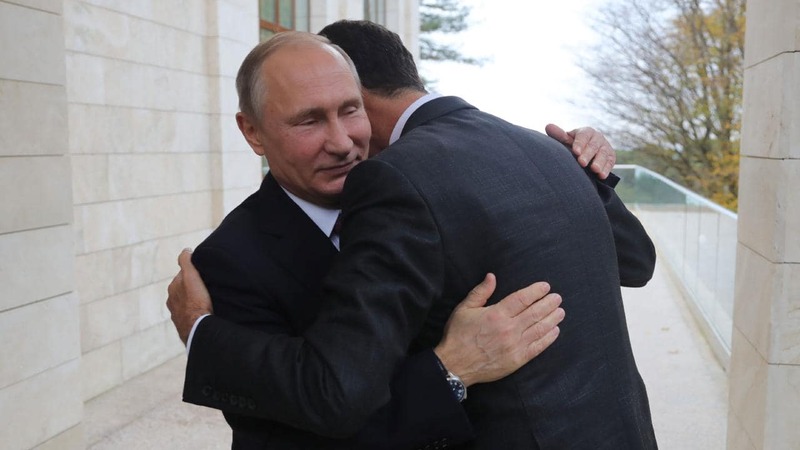 For some, the optics of their interactions would support the idea that Assad is something akin to a ventriloquist’s dummy for Putin. Others would insist that they have a strong personal bond. Imdeed, there are Western foreign policy analysts and scholars would go as far as to say the relationship with Assad is indissoluble. Putin would likely assert that the two men simply have a better than average friendly rapport based on mutual interests and military, diplomatic, and economic arrangements. It would be practically impossible for the truly experienced not to see that in their relationship, Putin is the top, the leader, the senior party and Assad is the bottom, the follower, the junior party. Often, Putin displays choreographed support for Assad. When relationships are built on mutual interests and useful arrangements, and not a higher bond, sometimes conditions can change to such a degree that the relationship might be altered or ended. Assad (left) and Putin (right). From all that is publicly known, scoring a political warfare victory was not part of the concept and intent of the US. Unless one was involved in the planning of the military strike, it would be impossible to posit with certainty that some consideration was given to how the military strikes would affect the Russia-Syria relationship. Still the features of a political warfare effort, even if coincidental, are discernible. Again, from all that is publicly known, scoring a political warfare victory was not part of the concept and intent of the US and did not factor into the planning of the military strikes in Syria. Unless one was involved in the planning of the military strike, it would be impossible to posit with certainty that some consideration was given to how the military strikes would affect the Russia-Syria relationship. Still the features of a political warfare effort, even if coincidental, are discernible. Under a definition offered by the RAND Corporation, political warfare consists of the international use of one or more of the implements of power–diplomatic, information, military, and economic–to affect the political composition of decision making within a state. Political warfare is often, yet not necessarily, carried out covertly, but must be carried out outside the context of traditional war. In the broadest sense, it could take the form of anything other than military operations. It could for example include: economic subversion, propaganda–not tied to the military effort, psychological warfare–as part of a military effort; conditional aid to a state; aid to political parties; aid to resistance groups; political accommodation; and, assassination. Renown security affairs analyst Brian Jenkins of the RAND Corporation explains that political warfare reverses the famous dictum of the 19th century Prussian military theorist Carl von Clausewitz that “war is the extension of politics by other means,” political warfare is the extension of armed conflict by other means. Political warfare does not focus exclusively on enemies who are at large or end with their capture. It targets those on their way in to enemy ranks, those who might be persuaded to quit, and those in custody. Political warfare sees the enemy not as a monolithic force, but as a dynamic population of individuals whose grievances, sense of humiliation, and desire for revenge, honor, status, meaning, or mere adventure propel them into jihad and resistance. Political warfare accepts no foe as having irrevocably crossed a line, but sees enemy combatants as constantly calibrating and recalibrating their commitment. It sees every prisoner not merely as a source of operational intelligence, but as a potential convert. Political warfare is infinitely flexible and ferociously pragmatic. It accepts local accommodations to reduce violence, offers amnesties to induce divisions and defections, and cuts deals to co-opt enemies. Until recently, things have typically gone relatively well between Putin and Assad. There has rarely been reason for them to think too negatively of one another. However, as circumstances develop in which their perspectives grow in variance on matters of mutual concern. The atmosphere has already changed a bit. It will change even more if Assad decides to use chemical weapons again. Common wisdom in the West is that Assad would unlikely use chemical weapons again, not because his known chemical capability has been denigrated, not because he has been punished him excessively, but because Assad, according to Western thinking, Assad has already won the war with the assistance of Russia and Iran. Dropping more chemical weapons would have no strategic value any Western military analysts can think of. Moreover, it would not make sense to incur the wrath of the US and other Western powers as a result of using such weapons. All of that being stated, it appears the West must learn over and over again that Assad thinks differently than most national leaders, and military analysts as well. Assad has embraced his role as a tyrant. He is concerned mainly with holding power. In his conscious or unconscious mind, he may be haunted by the fear of facing retribution for violent acts ordered in defense of his power and atrocities committed against his own people. Everyone does not think the same and Assad is a perfect example of that. Putin, however, is certainly aware of how different Assad is. The chief foreign linkage of Syria under Assad and his father, Hafez al-Assad, before him, have been the Russian Federation and the Soviet Union, respectively. The present Assaf has been useful to Russia as a figurehead, a symbol of resistance to the Syrian opposition, ISIS and Islamic terrorist groups and the West. He is undoubtedly viewed in Moscow as Putin’s man, and his ball to play with. It was the strength and realities of those ties between Damascus and Moscow that were poorly considered when the US injected itself in Syria in support of the anti-Assad opposition movement during the Arab Spring in 2011. By the Fall 2015, Assad appeared to lack the ability to remain in power against ISIS and perhaps US-backed Syrian Opposition forces. The military situation began recurvate after Russia, with the urging of Iran, moved its forces into Syria in September 2015 and supported Syrian military operations. In crafting a fruitful relationship with Assad, Putin seems to have handled him much as he would have handled an operative during his days in the intelligence industry. During his one-on-one contacts with Assad he has likely spent time motivating, befriending, briefing, advising, counselling, debriefing, and perhaps paying and welfaring him. It has served to establish the bridge between them. It is the sort of interaction to which Putin is attracted. It has helped to shape the dynamic and apparent congenial nature of their exchanges. It is likely that somewhere, Putin keeps notes that are part of a personal study of Assad. At age 65, Putin as a man and a leader, and in terms of capabilities and shrewdness, is far more advanced than Assad who is 52. For Putin, there certainly would be advantage in maintaining the relationship as is, if he can. There is an expediency in working with something, someone that you understand, who has been predictable. 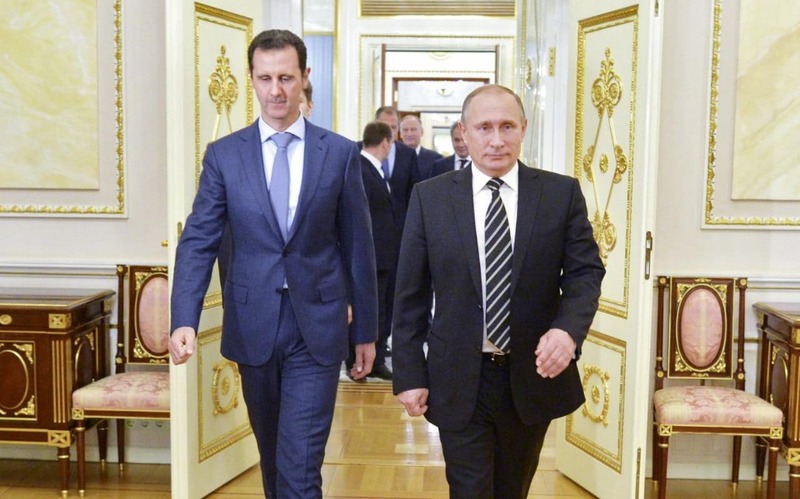 It is hard to imagine Putin might be overly concerned with Assad’s feelings. Yet, while Putin might only relate to other leaders much as strangers on a train, his relationship with Assad has been something more. In all the years until this point, whenever he met with Assad, they likely simply picked up wherever they leave off. Assad was granted a ticket to the high table international affairs by Putin. Contrarily, Assad cannot do much independently to enhance Putin’s life. Putin (left) and Assad (right). In crafting a fruitful relationship with Assad, Putin seems to have handled him much as he would have handled an operative during his days in the intelligence industry. During his one-on-one contacts with Assad, he has likely spent time motivating, befriending, briefing, advising, counselling, debriefing, and perhaps paying him. It has served to establish a bridge between them. Putin almost never fails to publicly cover Assad’s actions that reach the world’s gaze. He has supported Assad with strong words, diplomatic maneuvering at the UN and bilaterally with a handful of receptive countries, mostly it neighbors. He has of course, supported him by deploying Russian military forces to his country to protect his regime. Moscow’s initial response to the Assad’s chemical attacks in Douma was a grand denial that the Assad regime had anything to do with it. Russia, a Permanent Member of the UN Security Council, sought to fight fire with oil, giving credence to the idea that Assad did not and would not use chemical weapons and the entire matter was a hoax. This was made worse by Russia’s futile attempt make the investigation of the chemical attacks a joint venture in which Russia would work alongside the UN Organization for the Prohibition of Chemical Weapons (OPCW) at the site of the attack and in their research labs. It must not be forgotten that Assad should not have access to chemical weapons at all, but an intriguing diplomatic tact taken by Moscow in 2013 left the door open to that. On September 14, 2013, Moscow and Washington reached an agreement under which Russia guaranteed Syria’s chemical weapons stockpile and all equipment for producing, mixing, and filing chemical weapons would be destroyed before the end of the first half of 2014. The OPCW would implement the agreement. The genesis of the agreement was an August 21, 2013 chemical attack by the Assad regime against several towns of the Ghouta agricultural belt to the West and East of Damascus. Reportedly the administration of US President Barack Obama was nearing a decision to launch US-led punitive strikes against Syria. A suggestion was made by the US Secretary of State John Kerry stated offhandedly at a press conference on September 9, 2013 that the US might not conduct military strikes if Assad placed Syria’s enture chemical weapons stockpile under international control within a week. Hours after that statement, Russian Federation Foreign Minister managed to have Syrian Arab Republic Foreign Minister Walid Muallem agree to the idea. On April 13, 2018, and back on April 6, 2017, the Trump administration, based on clear and convincing evidence took action against Assad contrary to decision of the Obama administration when it had the opportunity. Most importantly, however, action had to be taken because both Russia and Syria clearly failed to meet their responsibility under the 2013 agreement. There has been little no mention of the September 14, 2013 agreement by Moscow or Damascus after the April 13, 2018 chemical attacks. Moreover, rather expressing of concern over the use of chemical weapons, as could be expected, prevarications emanated from Moscow and Damascus concerning the attacks. Moscow also made false claims that the majority of cruise missiles fired into Syria were shot down. Russian news outlets, as well as social media from the region, had claimed as many as 70 percent of coalition weapons were shot down by Syrian or Russian air defenses. But the Russian systems did not attempt to intercept the incoming weaponry, and the Syrian system launched around 40 surface to air missiles after the last targeted weapon hit its target, Referring to this type of activity by Moscow as information warfare perhaps gives it too much respectability as its purpose is to position it as master of the mob: anti-US, anti-EU, anti-West, and pro-Russian elements worldwide. Even Moscow must realize that in each case, all of its falsehoods would be overcome by the truth over time. Assad clearly had no concern over having frightful clouds hang over himself for atrocities committed before and during the Syrian War. There is not much that could further vulgarize his reputation. From experience of the Soviet Union as well as that of their own Russian Federation, officials in Moscow should have learned that the wounds Russia’s image suffers from such antics are all self-inflicted, deleterious, and all very unnecessary. Russia is reduced to a level akin to a “Fourth World” dictatorship, a so-called “Banana Republic”, when it prevaricates on matters concerning the US. Every time Moscow distorts the truth, it confirms the worst about itself. The ugly image many policy makers, decision makers, and analyst in the West long since have had seared in their minds about Russia are reinforced. Few anywhere in the world can be confident what’ Moscow says is true, except those willing to be deceived. When Putin and his officials make claims on other occasions to the effect that Russia is a land of the mind, this questionable behavior, along with a lot of other things, puts that notion in doubt. Intriguingly, Moscow puts significant effort into improving its image as a world leader, yet undermines that effort by backing Assad and destroying its image in the minds of many. There are consequences to the way one lives. He who walks with wise men will be wise, but a companion of fools will be destroyed. On April 11, 2018, Trump wrote on Twitter: “You shouldn’t be partners with a Gas Killing Animal who kills his people and enjoys it!”, referring to Moscow’s alliance with Assad. Assad, by his actions, has repeatedly immobilized Putin. He is left unable to smoothly move on to better things. If there are future chemical attacks by Assad, it is uncertain what the future of his relationship with Putin will be. 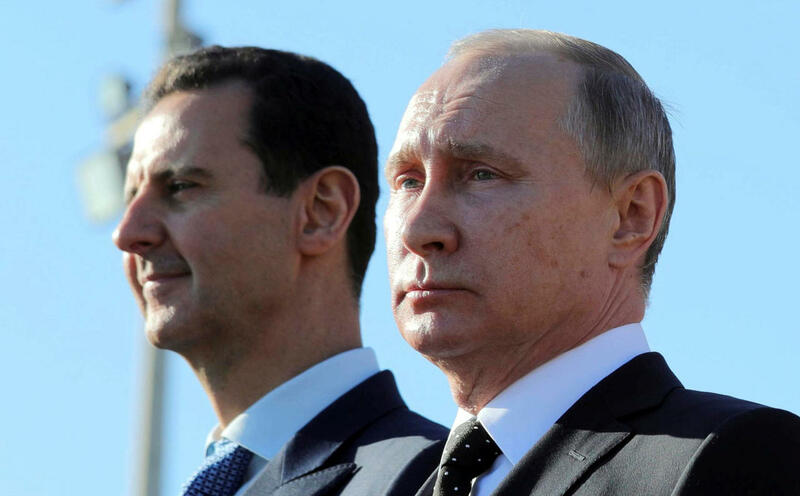 A number possible scenarios exist based on questions Putin and Assad might ask themselves as well as steps they might take as the situation between them develops. Those steps would likely fall under the category of political warfare. US President Donald Trump (above). It is intriguing to observe Moscow put significant effort into improving its image as a world leader, and then undermine that effort by lending unwavering support to Assad after he has acted against the norms of civilized world. On April 11, 2018, Trump wrote on Twitter: “You shouldn’t be partners with a Gas Killing Animal who kills his people and enjoys it!”, referring to Moscow’s tie with Assad. By his actions, Assad immobilizes Putin, leaving him unable to move on to better things. Speaking to Western and Arab capitals, Putin declared, “We must sideline geopolitical ambitions, refrain from so-called double standards, from the policy of direct use of separate terrorist groups to achieve opportunistic goals, including the change of governments and regime that may be disagreeable to whomever.” Concerning Assad, Putin relayed that he might be willing to enter a power-sharing agreement with opposition but that the fight against terrorism was the priority. 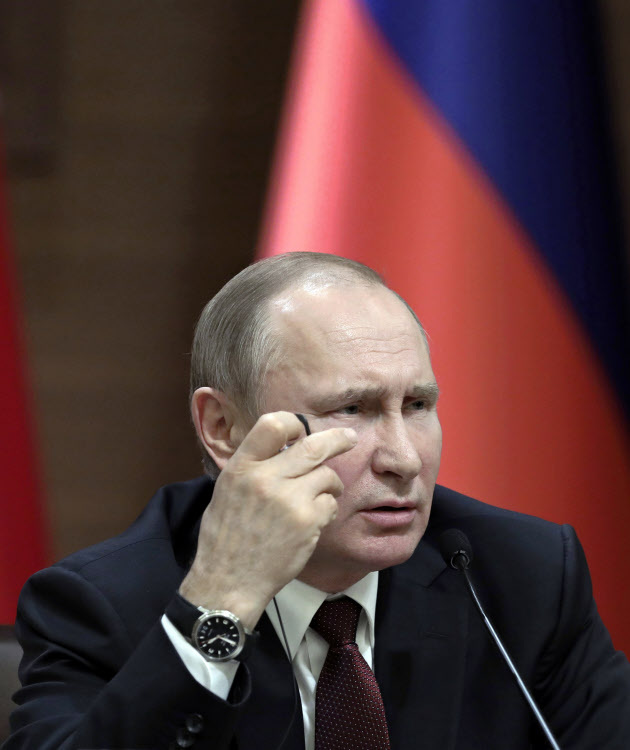 To that extent, Putin explained, “The Islamic State is providing ideological indoctrination and training to fighters from different countries including, unfortunately European countries and the Russian Federation, and many former Soviet republics. And of course, we are worried with the possibility of them returning to our territories.” As explained in a December 30, 2015 greatcharlie post, commanders of the Russian Federation Armed Forces reportedly believed the military objective of any ground operations in Syria should first be to create a regime stronghold in what is referred to as “Useful Syria” (Suriya al-Mufida) from Damascus up to Aleppo through Homs. That would require Russia and its allies to sweep up the Western part of Syria. The objective was to take pressure off Latakia, a pro-Assad, Alawite heartland and locale of an important airfield and take pressure off Tartus, a long-time Soviet Naval port passed on to the Russian Federation Navy. It is key for the delivery of military material to Russian and Syrian forces and important for the conduct of military operations in support of Syria. After reaching Latakia, Russia and its allies would turn toward Idlib. Part of the force could have pushed farther north to gain control of the Syrian-Turkish border west of the Kurdish Democratic Union Party’s (PYD) territory, blocking the US coalition and ISIS from access to it. In an additional phase of their offensive, Russia and its allies would press eastward. A key objective was to take Palmyra from ISIS and the oil and gas resources around it. Russia began to gain control of the situation on the ground in Syria soon after deploying significant forces there in September 2015. At this point, the fight to secure “Useful Syria” has essentially been won. Syria, however, is still reliant upon a military and security umbilical cord tied from Moscow to Damascus. 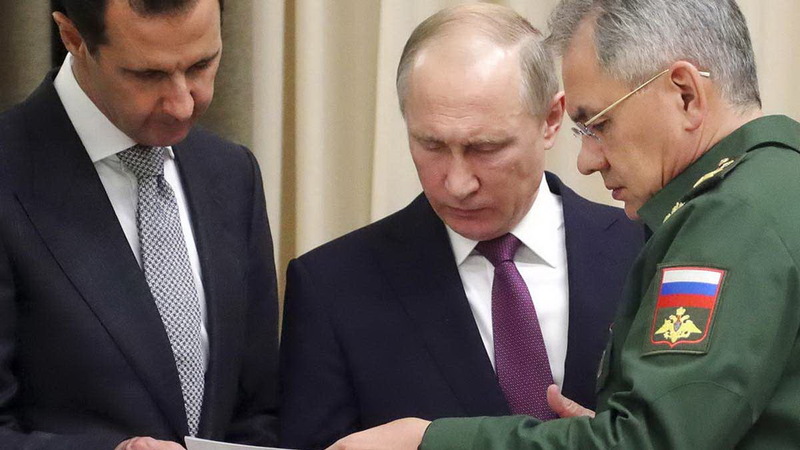 Assad (left), Putin (center), and Russian Federation Defense Minister Sergei Shoigu (right). Commanders of the Russian Federation Armed Forces reportedly believed the military objective of any ground operations in Syria should first be to create a regime stronghold in what is referred to as “Useful Syria.” Once Russian forces moved into Syria in September 2015, the military situation began to recurvate. The fight to secure “Useful Syria” has essentially been won. Syria, however, is still reliant upon a military and security umbilical cord with Russia. 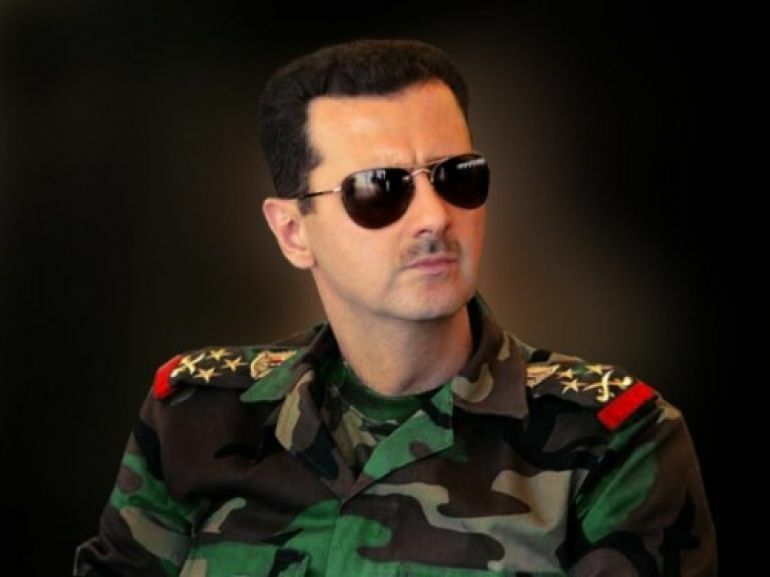 Assad very likely believes his self-crafted, virtual image truly mirrors his real life. Looking at newsmedia video clips of Assad in Damascus, one might be bemused by the artificial size of his life. Syria is an authoritarian regime ruled by Assad much as, but albeit far less orderly and competently than his father before him. Politically, Syria is an odd hybrid, a quasi-national socialist, Islamic state. Assad is accepted by his beloved Alawites as well as elites from his own Arab Socialist Ba’ath Party, the Syrian Social Nationalist Party, other like-minded political groupings, business leaders, and leadership of the Armed forces and the security services. The People’s Council–the national legislature of Syria–and the Syrian judicial system cannot even provide a fig leaf of democracy for Assad regime. Syria’s elites appear satisfied with conditions in “Useful Syria”. It is something akin to a kingdom of gold for them. The coffers of Syria have serve the purposes of the elites and Assad. It is a type of larceny Assad inherited from his father. Those in Syria who have money, power are celebrities, heroes of the society, having what the majority can never attain. The Presidential Palace on Mount Mezzah is emblematic of Assad’s efforts to provide a venir of prosperity and power over a broken country in unimaginable suffering has visited countless homes. Perhaps it would not be judged as a fair comparison, but compared with countries in the West, Syria could hardly be viewed as a normal, functioning, sovereign country. A sovereign country that cannot defend its borders is not authentically sovereign. Moreover, Syria could be labelled derelict given the condition of most of its towns and cities. To Putin, who, unlike Assad, is thinking realistically about the future of Syria, it is very apparent that reconstruction in Syria will be another huge hurdle to overcome. The bellwether of Syria’s future condition can be observed in South Ossetia, Abkhazia, Transnistria, Donetsk People’s Republic, and the Luhansk People’s Republic. Lacking any significant resources from the US and the rest of the international community to rebuild, that would be the only viable long-term condition that Syria could reach with Moscow’s assistance alone. Syria would simply become a larger version of those political, economic, and social disasters. Few other countries or international organizations appear willing to dive in to help Syria with signigicant financial assistance or investment. Few countries are in a rush to reopen or fully staff their embassies in Syria. They most lilely believe there would no benefit, but only difficulties in working with Assad. As a result, the Syrian people are shut off from those in the rest of the world who might be able to truly help them. Optimists would hold out some hope that the situation would improve. However, no international conference, no guarantees from Russia to keep him in check, no surgical procedure even, could make Assad palatable to the West at this point, or to any government in the Middle East other than Iran. Manipulations that might ordinarily knock things back on track with Assad would likely have been exhausted or be seen as useless. It may be safe to say the Assad will never develop, never change. Luckily for Moscow, Assad is actually at its disposition. Given the strong influence Russia has on the Assad regime’s main elements of his power, the Syrian Arab Armed Forces and the security services, at the very least, the effort might be made to remder Assad’s presidency symbolic. In a more virile approach, Russia, perhaps in sync with Syria’s foreign benefactors, might seek to replace Assad with a leader who would be more acceptable among the Syrians, more palatable for themselves. As far as Assad’s well-being was concerned, the basing arrangements for Russian naval, air, and ground forces, and the relationship developed with Putin would no longer have meaning. Assad would likely disagree with any assessment that would describe him as a follower, or that his existence is contingent upon Russian power. He would likely describe himself as partner with Putin and other leaders and that Syria is working jointly with its allies. It is imaginable that Assad believes he is delegating part of the job of using military power to defeat Syria’s enemies to Russia and others. For Assad, all arrows point his way, as he nearly always thinks and acts in self-interest. So far, Assad has been able to have his cake and eat it, too! He has defiantly launched chemical weapons against his own people, while savoring the general protection and support of Russia and others. How long this situation will last is uncertain. Surely, the Russians will have a say in that. There are still a lot of hand shakes and pats on the back from Putin meant to encourage. Yet, a handshake or pat on the back cannot supplant rejection. It cannot correct a problem or resolve a serious disagreement. If Assad were to sense an undercurrent of dissention toward him inside Syria, he would undoubtedly physically thin out the ranks of those he would deem potential plotters and replace them immediately with a more loyal sort. He would do so taking care not disturb the defined ecosystem of power elites, sending the message that he demands loyalty but avoid starting another uprising particularly among those who have supported him. Such events would certainly catch the attention of the Russians. Assad might conclude that Moscow may see some benefit in aiding an group of Syrian elites willing to remove him. An “organic rebellion” that could remove Assad would be more agreeable to Putin and elites in Russia who might have already concluded that his removal will lead to more beneficial outcome of Russia’s investment there. He may fear that removing him under such conditions might be more understandable to tyrants in rogue regimes worldwide who may also rely upon Russia to back them with military force, some level of economic wherewithal or payments. However, Assad would not willingly step aside for a successor albeit selected by friendly, outside power, even if he had some say in who would replace him. He surely would not sit idly by as the plot developed to put his reign to an end. Looking at the US, United Kingdom, and French military strikes in the aggregate, it somewhat understandable that some analysts doubt that Assad and his advisers in Damascus would be so spun up by them. The US-led coalition has conducted airstrikes in Syria against ISIS and targets threatening coalition ground forces for many months. The Israeli Air Force has conducted regular strikes in Syria so precise and effective and with impunity, that one could say with some humor that the Israelis were using parts of Syria as a bombing range. The issue is that the military strikes of April 13th were the second time the US has deliberately attacked Syrian targets and the second time Russia did not act. That is the rub. Prior to the Western military strikes, Russia urged the US to avoid taking military action in response to an alleged chemical attack in Syria. On April 10, 2018, the Russian Federation Permanent Representative to the UN Vasily Nebenzia stated: “I would once again beseech you to refrain from the plans that you’re currently developing.” He warned Washington that it will “bear responsibility” for any “illegal military adventure.” A threat from Moscow to down US missiles came from the Russian Federation’s Ambassador to Lebanon, Alexander Zasypkin, who said his comments were based on previous statements by Putin and the Chief of Staff of the Russian Federation Armed Forces General Valery Gerasimov. The Russian Federation Armed Forces stated on March 13, 2018, that it would respond to any US strike on Syria by targeting any missiles and launchers involved. However, Russian air defense systems did not attempt to intercept the incoming weaponry, and the Syrian system launched around 40 surface to air missiles after the last targeted weapon hit its target, according to the Pentagon. The Pentagon noted that the S-400 systems were not turned off, simply not activated, leaving open the option their radar systems were used to tracking incoming threats but the weapons systems were not fired. The fact that those systems were active but not used may serve as evidence that the deconfliction line between the US and Russia, which was used to urge Russia not to escalate the situation, had been effective. 1) Assad might decide to establish some simulacrum of the US Lend-Lease arrangements of World War with China. Under it, China could possibly build its own military base or port. Assad could receive guarantees of significant assistance from China in Syria’s reconstruction efforts. China could also agree to provide Syria advanced command, control, communication and surveillance systems and agree to allow Syrian forces create garrisons and store Syrian military hardware on its new bases. Assad’s goal in that hypothetical situation would not be to allow a build-up in Syria by China that would establish it as a counterbalance to Russian military power. Assad’s goal in allowing a enough of a build-up that would lead Putin to better the value and importance of his ties to Syria. A decision by Assad to reach out to China might be viewed as injudicious given the possible consequences. Chinese ambitions in Syria might be difficult for Damascus to tame. The opportunity to build bases so close to Europe would present an I exhaustive list of possibilities for Chinese military planners. Putin may overreact to the decision and strongly suggest that Assad to rescind the invitation to China creating a genuine, visible rift between the two countries. Under circumstance, for Assad it would simply be a existential choice to create some counterbalance to Russia power in his country or at least convince Putin that he was willing to do so in order to better position himself with the Russian leader. 2) Assad may attempt to strike US or other Western troops with chemical weapons. Assad may seek to do this even if a suicide mission is required. While he and his advisers may view the operation as risky. Yet, they may also wrongfully believe that as long as the US-led coalition’s response does not result in a direct attack against him, they may view it as a calculated risk. If Russia decides not to respond in defense of it ally, Syria, Assad might be able to convince himself that he has proved at least to the Syrian people in Useful Syria that he is strong and that he can do powerful things. The US has about 2,000 troops on the ground in Syria, supporting the ongoing US-led Coalition mission to defeat ISIS militants that remain in the region. The April 13th military strikes have created some concern at the Pentagon that those troops could be vulnerable to retaliation from Syrian forces. Efforts by Assad to put his forces in a position near US-led coalition ground forces must be scrutinized and keep in the coalition’s cross-hairs. If multiple streams of intelligence indicate those forces pose a danger, they should be pushed back or destroyed. There is always the possibility and the danger of miscalculation by Assad. As long as Assad thinks rationally, logically, this scenario could never materialize, as he would be deterred by the thought that an attack on US or another coalition ground forces would be met by an immediate, devastating military response. The targets of the US attacks would hardly be limited to the forces that launched them. Attempts at deconfliction for such attacks might be made, but they would take place regardless of whose forces might be nearby or mixed in with Syrian forces. Depending the response of Russia if its forces were caught in the middle of it all, Assad might manage to drag Moscow into what was likely the worst nightmare it thought of when it deployed its forces to Syria. If Assad wants to maintain conditions that will allow the march of time to move forward in his favor, he should be reluctant to bother Putin about matters surrounding the April 13th chemical attacks. Doing so would very likely raise even greater concern in Putin. Assad’s circumspection itself may have already garnered Putin’s curiosity. Putin, after all, is super observant. 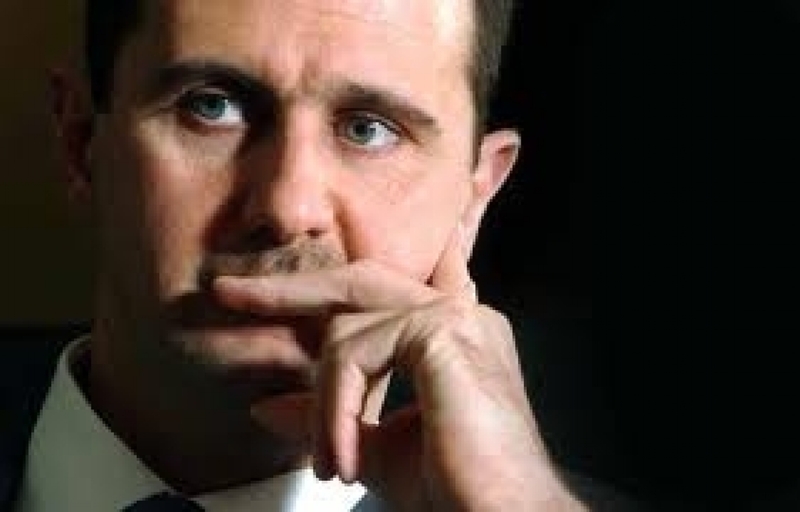 If he manages to discern a new uneasiness in Assad, intimate trouble, it might cause him to take steps against him. Fata volentem, ducunt, nolentem trahunt. (Destiny carries the willing man, and drags the unwilling.) Moscow entered into all of its deals with Assad, strengthened links to him, with its eyes open. Putin would unlikely have engaged with Assad in a search for areas of common ground on handling chemical weapons. Putin is not conciliatory. He very likely set rules for Assad on the matter. However, leaving the door open for Assad somehow to use the weapons has come back to haunt him. Given what has transpired, Putin surely can reasonably be viewed as being complicit in Assad’s use of chemical weapons. Yet, while Putin may find Assad’s attitude toward those in the West, in the Middle East, and in his own country who oppose him to be understandable, he may also view his approach as reckless. Syria is broken, and with someone such as Assad at its helm, hardly any outside of the country, capable of supporting its reconstruction, would be willing to do so. In Moscow, there must be some authenticity in its examination of Assad and what it will be able to do with him in the future. Putin most likely sees that there is nothing about Assad that would indicate he can be transformative, creative, or productive. After the April 2017 cruise missile strikes by the Trump administration, a discourse should have been initiated in Moscow on how to better handle the remnants of Assad’s chemical weapons arsenal and how to defeat their use against Russian Federation Armed Forces in Syria. If Putin can truly discern what billows in Assad’s mind, he may have already made the decision to move against him. Finding a leader or group of very senior leaders among elements of power in Syria may not be too difficult. Most in Damascus who are in the best position to know what is happening in Syria understand they live in privileged times. They may not speak of, or whisper, about being called on to be part of a change in leadership. Still, they may be considering where they will stand and how they will act if the situation arose. To this point, nothing has been stated to indicate that there was anything time sensitive about Putin’s relationship with Assad. Syria’s standing internationally has not been good to say the least. Assad has not used any time or exploited any opportunities to make improvements in his situation. It is unknown whether Assad is ignorant, willfully ignores, or perhaps even suppresses thoughts about reconstruction, something Russia, by jumping into Syria may have committed itself to as a duty. Assad does not appear emotionally devastated by what has befallen his country. This was observed in his very congenial newsmedia appearances the day after the April 13, 2018 military strikes. Putting himself in Assad’s shoes, perhaps Putin could imagine that Assad is feeling a bit betrayed by his unwillingness to deter or defeat the Western military strikes in Syria, no matter how unreasonable that would have been. Putin can be sure Assad knows him well enough to realize that expressing his disappointment through impotent snarling would have accomplished nothing useful or good. Putin may eventually need to make a decision if Assad cannot restrain himself from using chemical weapons again. As mentioned earlier, It is possible that Putin has already has plan for responding to Assad’s future actions. Big issues likely remaining are exactly when and how to set things up. It is also possible that given the gravity of the decision to remove Assad from power, he has not made a final decision. He may prefer to mull things over until he is left with no choice. To decide exactly how to proceed, Putin would unlikely need to refer to any notes or look among huge piles of information collected from Syria to find pieces that answered his questions. He would only need his knowledge, experience, insights, intuition, and instincts. Putin would review what Russia really wants with Syria, what its goals are. He would then need to thoroughly consider how exactly removing Assad will better able Russia to reach those goals. Putin may decide to give Assad the benefit of doubt. He knows the margin between being very clever and being very stupid is very thin. If in some odd way, alien to most reasonable thinkers, the goal of Assad’s behavior only been to strengthen his position with Putin and ensure Russia’s investment and commitment to his well-being and the well-being of the country. 1) After some convincing, have Assad voluntary depart Syria to begin exile somewhere in Russia. The Syrian people would be informed via a video recording that Assad is completely fine and well-aware for, and it was necessary to move him to Russia due to an imminent threat from Western powers to capture him and usher him to the Hague for War Crimes trial. Once, in Russia, it could be said Assad would never be surrendered to anyone and, that he would indeed be returned to Syria once Russia resolves the matter. In the meantime, the Syrian people would have an interim, acting president. In fact, Assad would never return to Syria. If Putin were to ask Assad to leave Damascus, he would have no need to ask twice. Damascus would become a far more dangerous place for him if he does not go. 2) Through a coup de main, Putin could have Assad suddenly captured and relocated to an undisclosed site in Russia. This would be done after making appropriate arrangements furtively with Syrian military officers, security service officials, and other elites in Damascus. Again, he could be brought to an undisclosed location in Russia. After some He would be strongly encouraged to made a video recording for broadcast in Syria indicating that he is safe, doing well, and was brought to Syria’s main ally, Russia, temporarily for his own safety. The specific threat Assad would not need to be disclosed. For security reasons, the source of the information would not revealed. Forcing Assad to leave would be an alternative to having him eliminated. With Assad removed, Putin would move quickly to install his successor. It would be necessary for Russia to have a central figure, a strongman, one in charge in Syria to assure it has a central conduit through which it could impose its will. Assad’s successor, certainly an Alawite, would be enabled to hold a degree of power similar to that Assad held as long as Russia remains in strength in Syria, and is willing to mitigate pressure placed on the regime from Islamic extremist groups as Al-Qaeda and ISIS, and the battered and tattered Syria Opposition forces as well. The change, no matter how necessary or expected, would be traumatizing to many in Damascus and in every capital that has supported him. It would be the end of a sad story concerning the misuse of power, the poor stewardship of a country. Moscow would likely dub the successor’s acting presidency as a caretaker government. Only with the insistence of the US and other P5 Members, would new elections be held.to replace him. The acting Leader’s presidency would be tainted by the irregular nature of his installment. At the UN Security Council, there would be reminders of Resolution 2254 (2015) concerning free and fair elections in Syria. Moscow would dance around it claiming there that new constitution had not been drafted as also required under the resolution. Moreover, Moscow would explain that conditions were not right for elections as the war was not over. Meanwhile, it would argue Syria was on the right path and seek aid for its reconstruction. A more tense relationship may eventually ensue if possible future military strikes from a US-led coalition, or even Israel, are met with inaction by Russia. If Assad is able to detect real trouble from his benefactor, he might draw back, and walk back any statements. However, if he fears for his life, anything is possible. Although Putin has not heard grumblings from Mount Mezzah, he surely recognizes that his relationship with Assad has not been not perfect since the April 13th missile strikes. Putin cannot be sure that Assad accepts that he is concerned with him or Syria or that he has any real compassion for what has befallen his regime. Putin knows that he too would feel somewhat betrayed by any ally who promised to stand by him against an adversary, yet did nothing during an attack. 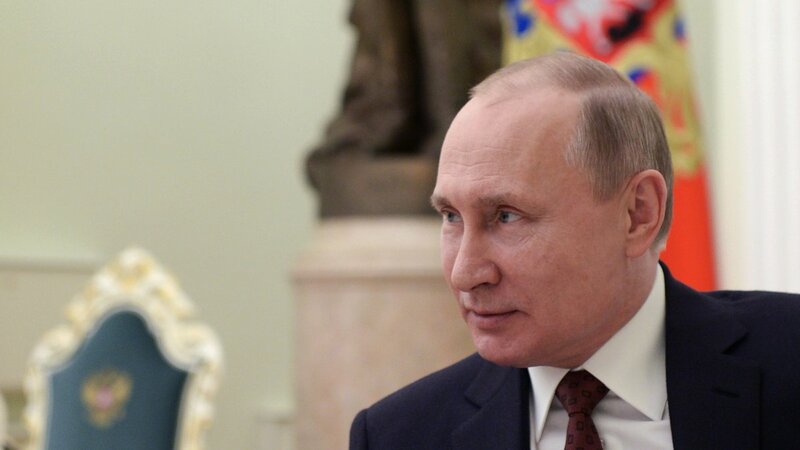 Putin may sense that Assad, after constantly hearing rhetoric from Moscow about curbing the power and defeating its adversary, the US, has not seen any significant efforts in that direction even when opportunities present themselves, such as the April 13th military strikes. Putin cannot deny that he completely and correctly, abandoned his ally in the face of US diplomatic pressure and military power. Under such circumstances, Putin’s promise after the April 13th missile strikes to provide Assad with new, high performance weapons amounted to a bromide. It could not resolve problems facing the Russia-Syria relationship. It seems unlikely that Assad will remain quiet if there were future Western military strikes in response to his further use of chemical weapons or other dark moves, and as on April 13th, Russia fails to act. Conspiracy theories are an element as ubiquitous as rumors in statements of officials and common conversation among citizens within rogue, authoritarian regimes. It is a corrupted version of thinking out of box preferred mostly because it typically points to behavior of external elements, enemies and false friends, as causality for a regimes disappointments and failures. Assad and his advisers may be discussing whether Russia even considered defending Syria from the military strikes of the US, the United Kingdom, and France. Some might postulate in confidential meetings that Russia may have been hoping the US would destroy Syria’s remaining chemical weapons inventory. Assad and his advisers know that Moscow was in contact with Washington in the days and hours before the military strike. US Chairman of the Joint Chiefs of Staff USMC General James Dunford explained that normal deconfliction channels were used to deconflict the airspace that we were using. Dunford further explained that the US did not coordinate targets or any plans with the Russians. Yet, in Moscow, the head of a Russian parliamentary defense committee, Vladimir Shamanov, said Russia was in direct contact with the US Joint Chiefs of Staff about the situation. Hearing this view from Russia would likely satisfy Damascus as it would support surmisals there that Russia assisted the US in identifying targets as the Russians certainly did not use any countermeasures interfere with US efforts to target sites. In an inner monologue, Assad may ponder whether the failure of Russia to act may mean that there was some truth to expressions made by Moscow and Washington in 2017 that there was a new, cooperative era in US-Russia relations. That would contradict what Russia insists in private, and what is strongly hinted public statements, that the US is its adversary. Assad could conclude that in the crafting of the April 13th military strikes, Russia had a figurative vote! A more tense relationship may eventually ensue if possible future military strikes are met with more inaction by Russia. It is in that environment that Putin would very likely consider moving against Assad. He would most likely act without warning. 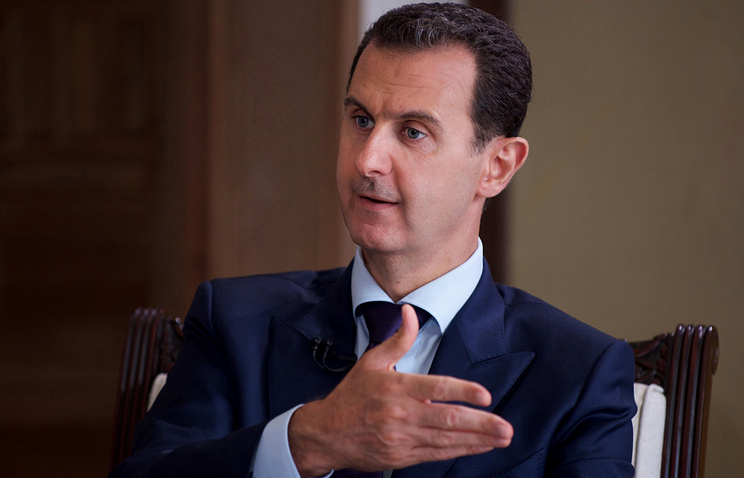 If Assad is able to detect trouble, he would draw back, and walk back any statements. However, if he fears for his life, he will likely act. Indeed, there could be a final demonstration of his power. He will make a stand or lash out with vigor before he goes. His concealed stockpiles of chemical weapons might even allow him to strike any erstwhile allies with some effect. Surely, Assad comprehends that Russia commands great power. However, Assad may also feel that there are limits to Putin’s ability to respond to his aggressive moves. Putin would be remiss not to explore whether that is Assad’s thinking. Assad may believe even now that as long as he has chemical weapons and has demonstrated a willingness to use them, he can deter the few allies he has from turning against him. People with the most absolute power in history have tried to hold on by their fingernails knowing when they let go, all will be gone. They have often self-destructed. Misused power is always built upon lies. Tyrannical figures redefine what exists into projections of their egos. There are no noble thoughts. They become wrapped up in themselves. Assad seems to find pleasure in what is evil. As time goes on, the more tragic he becomes as a figure. Surely, Assad comprehends that Russia commands great power. However, Assad may also feel that there are limits to Putin’s ability to respond to his aggressive moves. Assad may believe that as long as he has and has demonstrated a willingness to use chemical weapons, he can deter the allies he has from turning against him. He could also use them in a final self-destructive act. Putin would be remiss not to consider that possibility. In Act I, scene iv, of William Shakespeare’s The Tragedy of Macbeth, Generals Macbeth and Banquo have already defeated two separate invading armies, from Ireland and Norway. Following that, they encounter three witches as they cross a moor. The witches prophecy that Macbeth will be made thane of Cawdor and eventually King of Scotland, and Banquo, will beget a line of Scottish kings. Once the witches vanish, Macbeth and Banquo speak skeptically of their prophecies. However, some of King Duncan’s men arrive to thank the generals for their victories and tell Macbeth, just as the witches prophesized, that he has been named thane of Cawdor. The previous thane was executed for betraying Scotland by fighting for the Norwegians. Arriving at King Duncan’s castle, Macbeth and Banquo profess their loyalty and gratitude toward him. King Duncan announces Malcolm will be named heir to his throne. Macbeth declares his joy but notes to himself that Malcolm, the Prince of Cumberland, stood between him and the crown the witches also said he would have. Standing aside, Macbeth says to himself: “The Prince of Cumberland! that is a step On which I must fall down, or else o’erleap, For in my way it lies. Stars, hide your fires; Let not light see my black and deep desires: The eye wink at the hand; yet let that be, Which the eye fears, when it is done, to see.” Regarding the military strikes from the US, United Kingdom, and France, the most effective way for Assad to deal with the matter and maintain the status quo is accept that what happened, has happened, and no matter how upsetting it might be, it cannot be changed. Retribution is not a reasonable or rational option. Creating difficulties in Syria’s relationship with Russia by advancing the idea will only lead to additional problems does not need. Negative feedback from the Assad regime’s experience when it fought alone in Syria without Russia assistance may have helped convinced Assad not to make waves. Still, as the situation on the ground has changed somewhat with the US-led coalition’s efforts against ISIS, Al-Qaeda, and other Islamic militant groups, he may feel that regime forces are in a better position to do more by themselves. Syrian elites and some average citizens may be welcoming, supportive of the Russian partnership and presence at the moment. However, after observing the effects of few months of rain and wind on the ruins of cities and towns, they may eventually recognize that Moscow cannot support “Useful Syria” in a way that would allow for its rebuilding. The situation would only worsen if pressure was placed on Russia over Syria through future sanctions.